* SOLD* (1st JUL ’14) But I will be making others, so if you want one please check my Etsy store HERE or contact me. 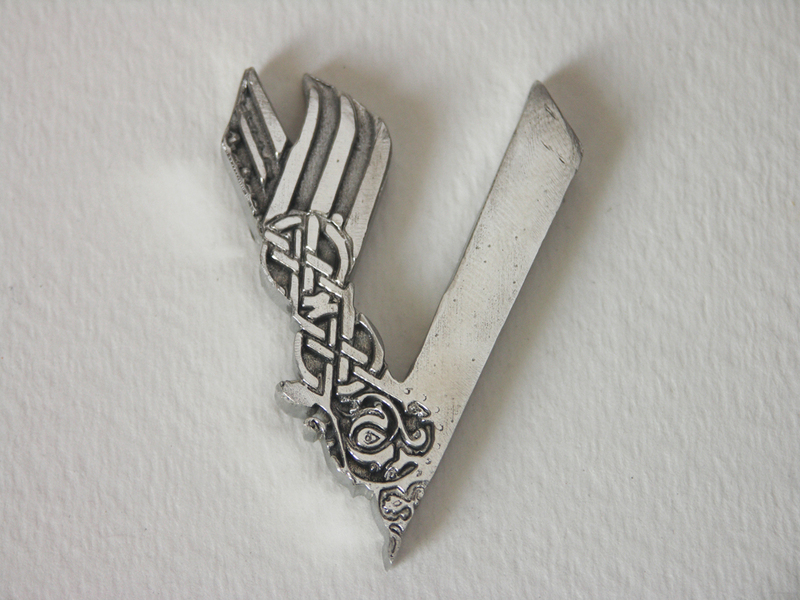 I designed and sold an oxidised sterling silver pendant based on the logo for the TV series “Vikings” that is popular on North American TV 2013/14 (more un-oxidised ones available at THIS PAGE in my shop on Shapeways). 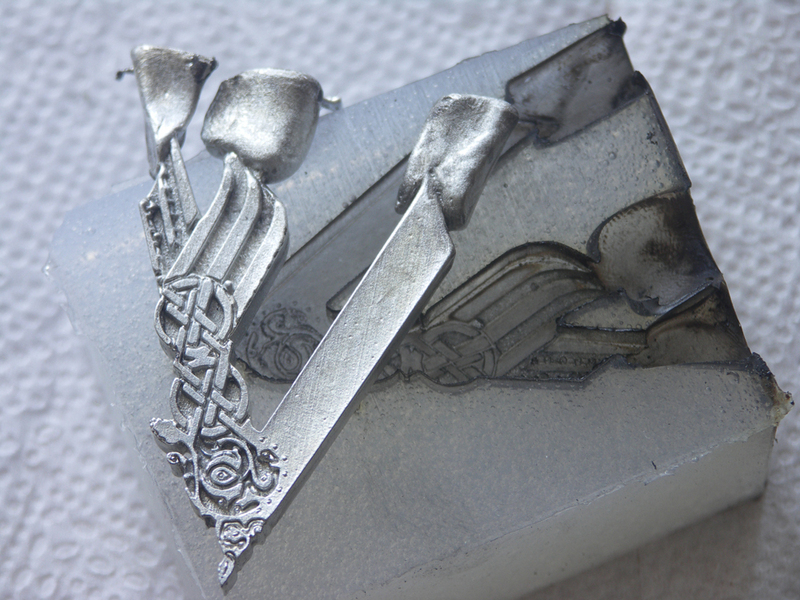 Due to demand for a cheaper version I have now re-modelled a new version, created the mold and cast this Pewter variation which is also larger in size (two inches in length). 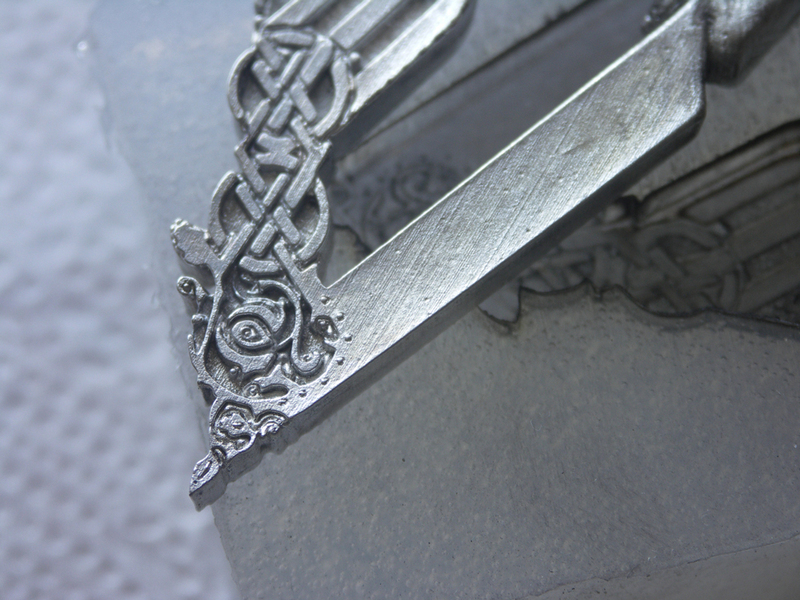 The pewter is jewelry grade from a US source, containing no lead and a small amount of silver. It has a really nice shine to it, with a hefty weight. It is two inches in length and comes with a long black leather cord. If you wish you could remove the cord and replace it with jump rings and your own chain. It is currently on sale on Etsy for US$35. If it has sold by the time you read this, I will likely have another listing in my shop or you can contact me here. 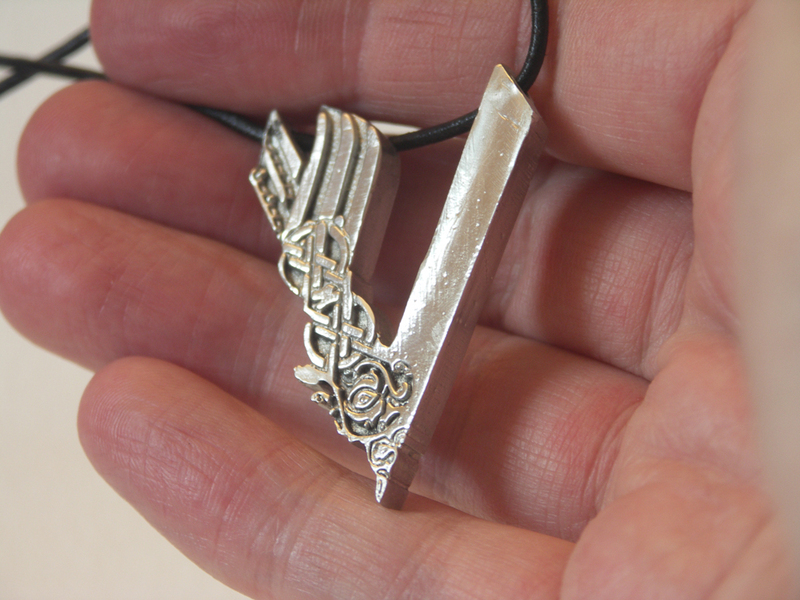 I brought this pendant for my partner and it’s gorgeous. It looks brilliant on him. I would recommend this shop to any of my friends, not only does Glenn do fabulous stuff but his customer service is second to none. 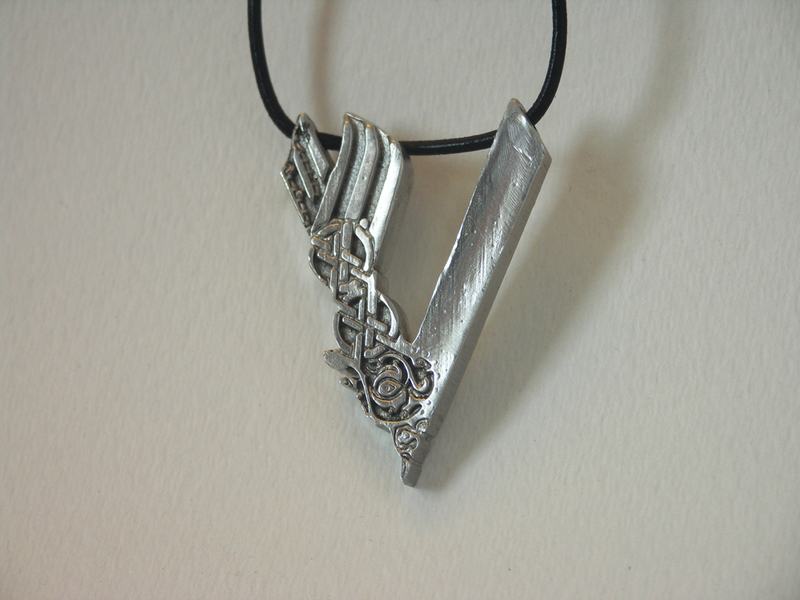 Hi, the price of the pewter pendants are US$35 plus shipping. I really like the pewter pendant and would like to have one when you make more. Thanks, Mike. I have a new master to make an improved mold from. I will let you know when available.